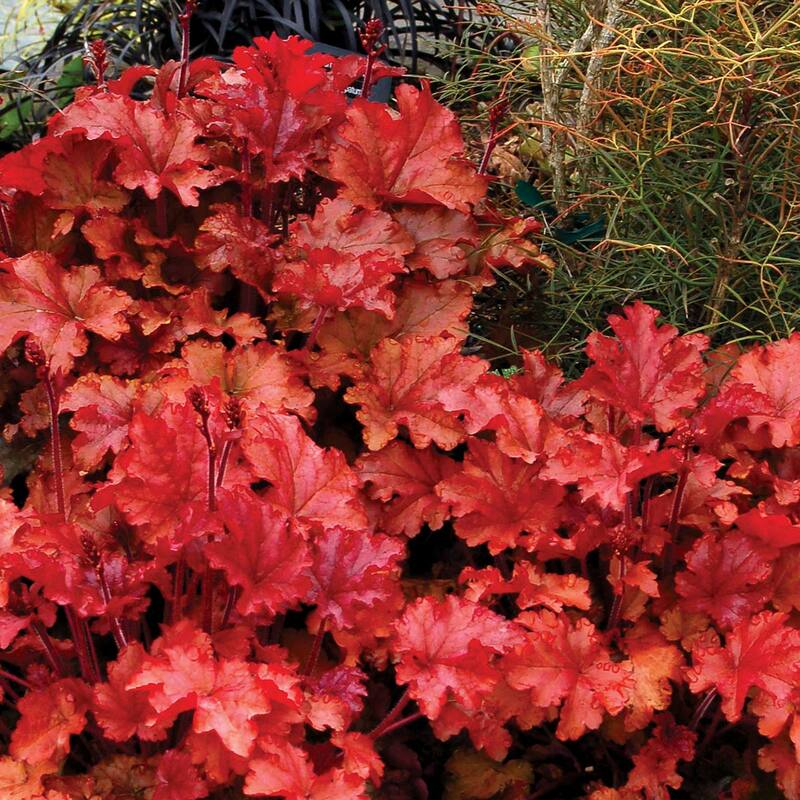 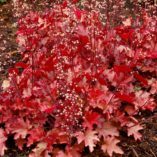 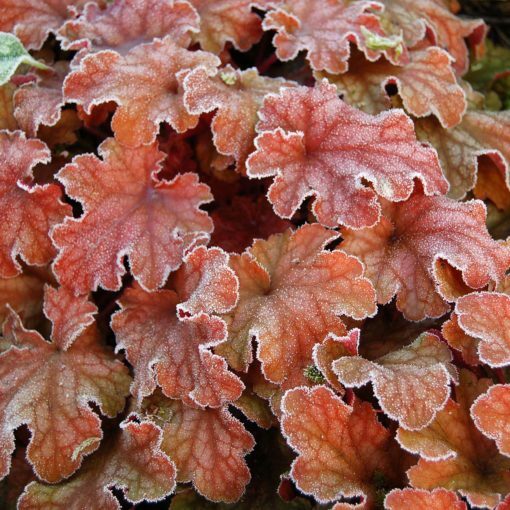 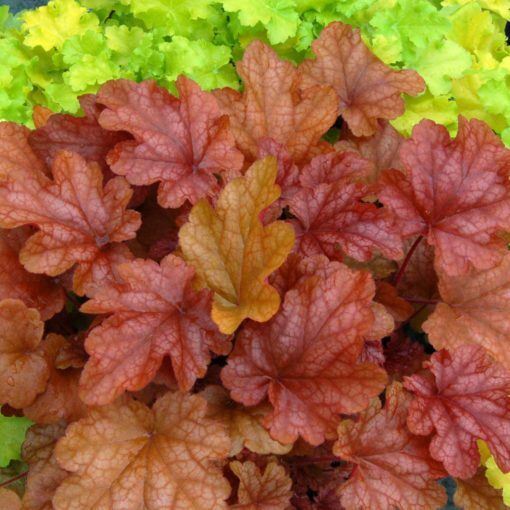 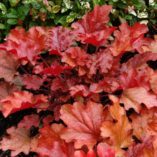 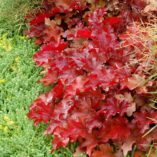 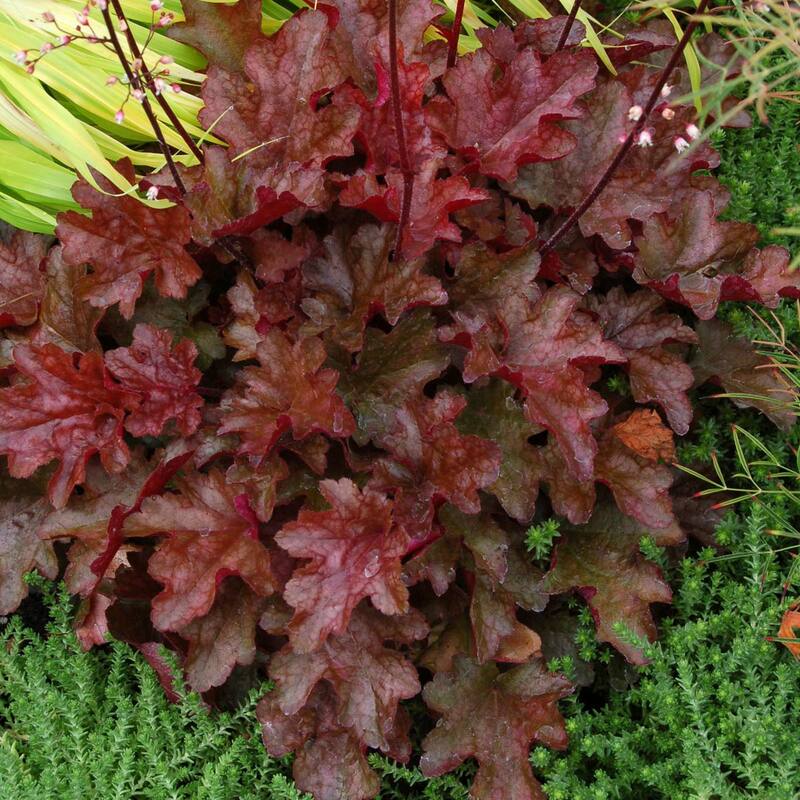 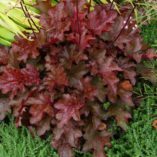 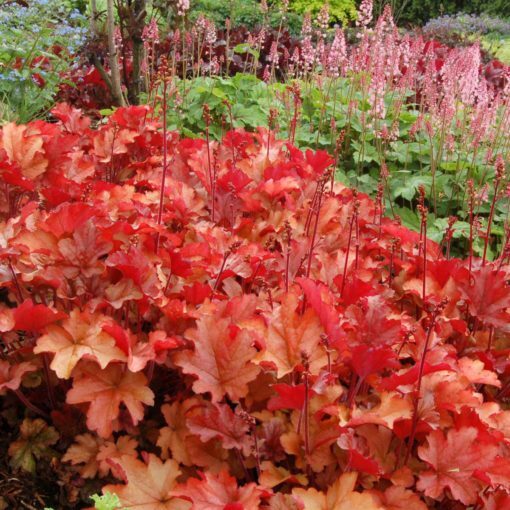 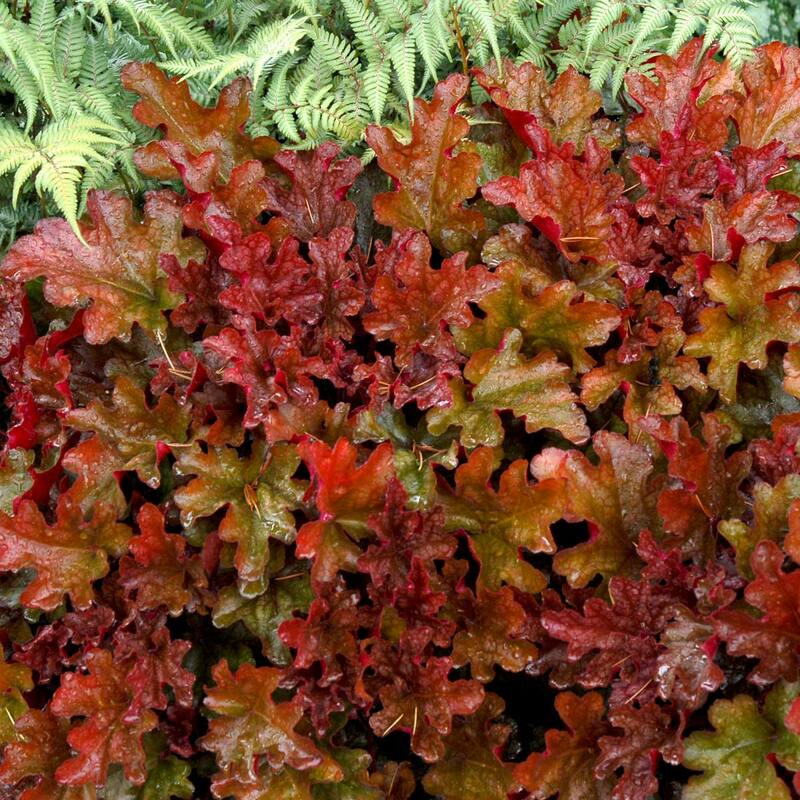 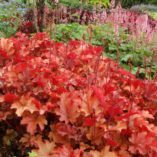 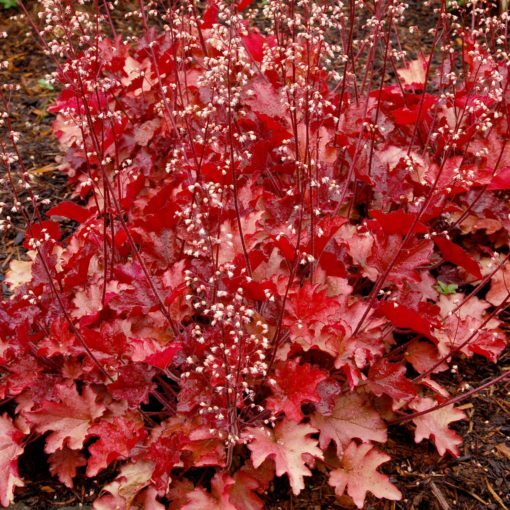 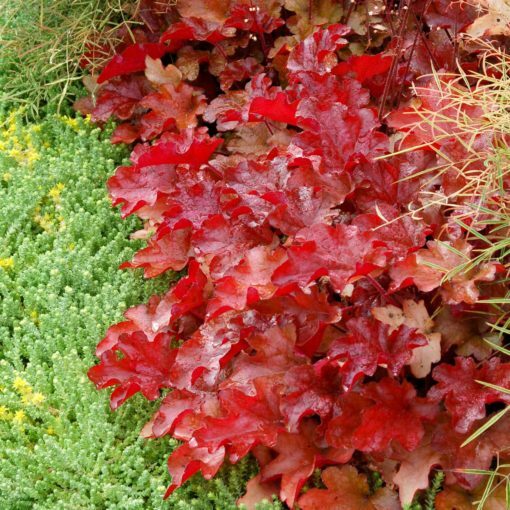 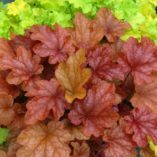 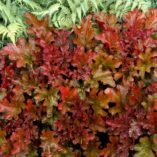 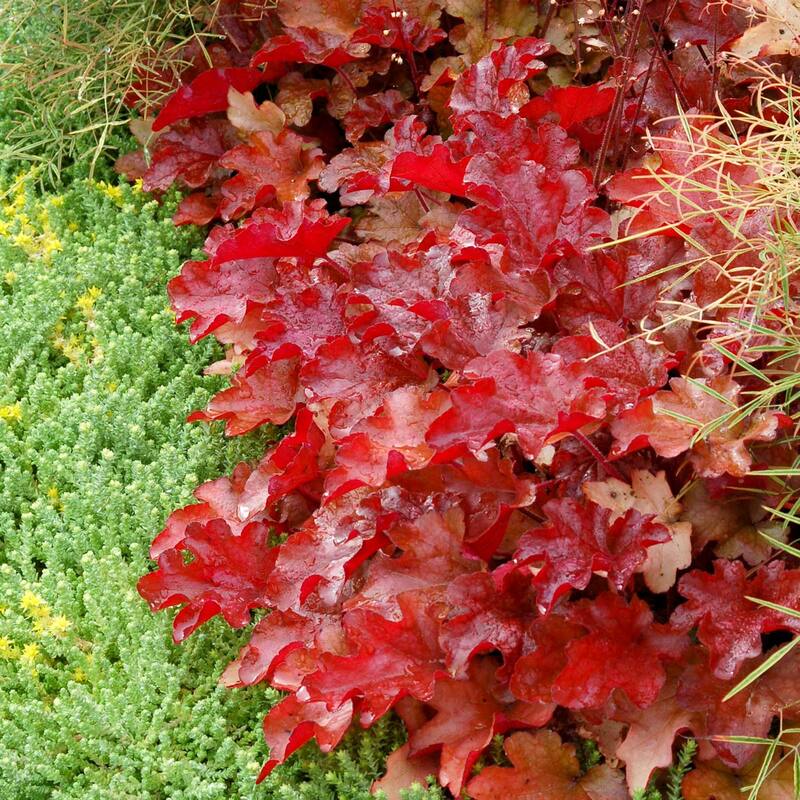 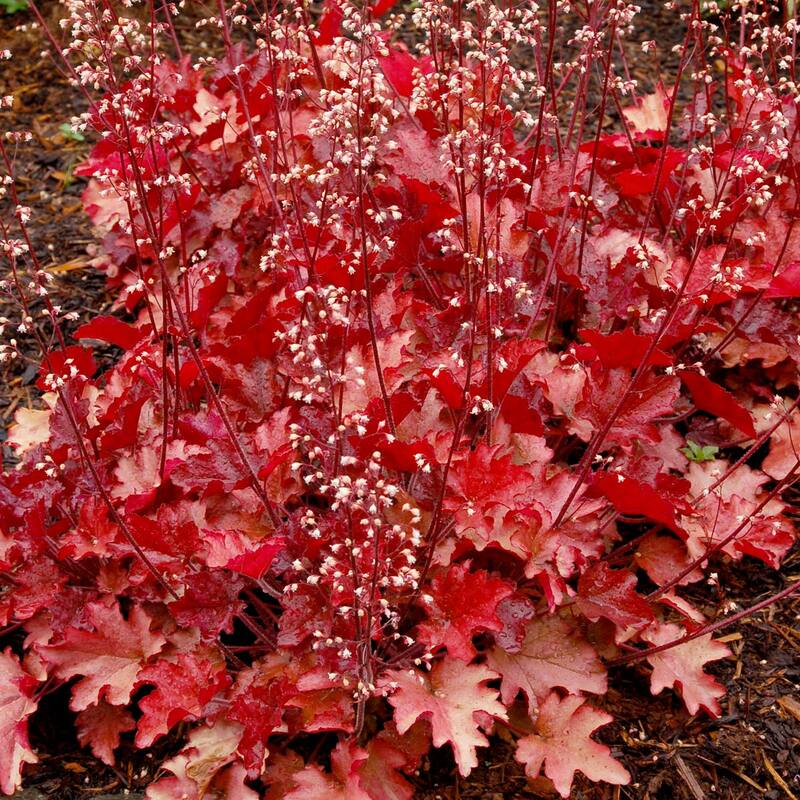 Heuchera ‘Peach Flambé’ | TERRA NOVA® Nurseries, Inc. Bright peach-colored leaves that literally glow in spring, summer and fall, turning to plum in winter. 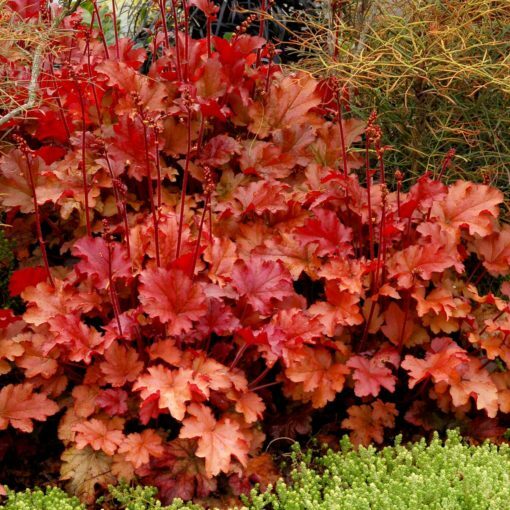 Large, smooth leaves and flaming red infusions create drama in the garden. 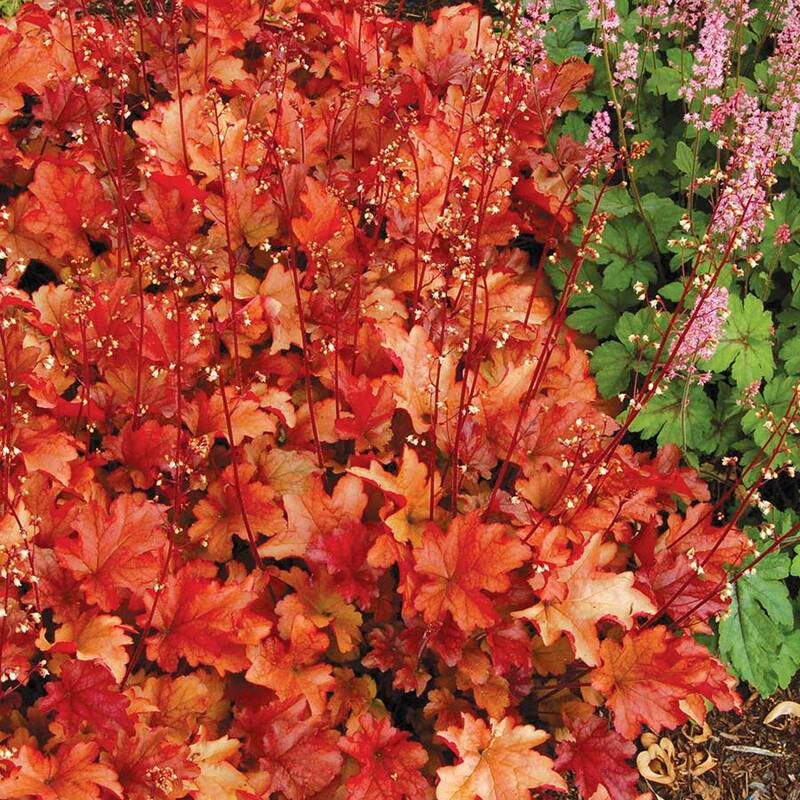 The color progression of 'Peach Flambé' thru the year provides multi-seasonal interest as a superb color companion with spring yellows, summer blues, and fall oranges. 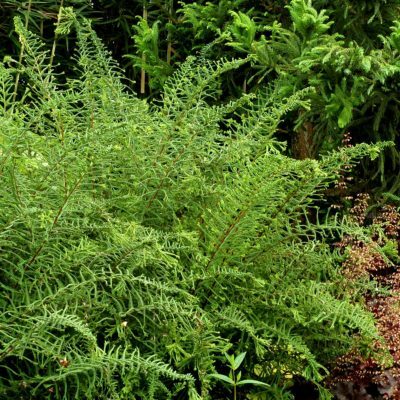 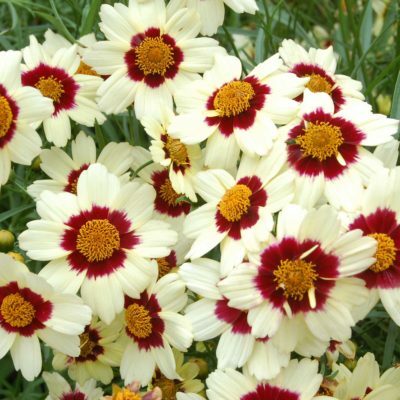 A vigorous, mediumsized plant that produces white flowers in spring on stems to 16″. Won a first place award at the Royal Dutch Flower Bulb Association show in 2008. 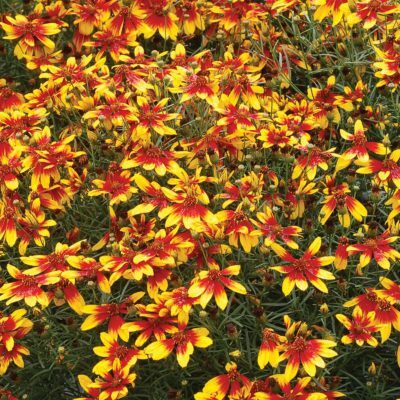 It has a brighter orange color than 'Marmalade' or 'Amber Waves'. 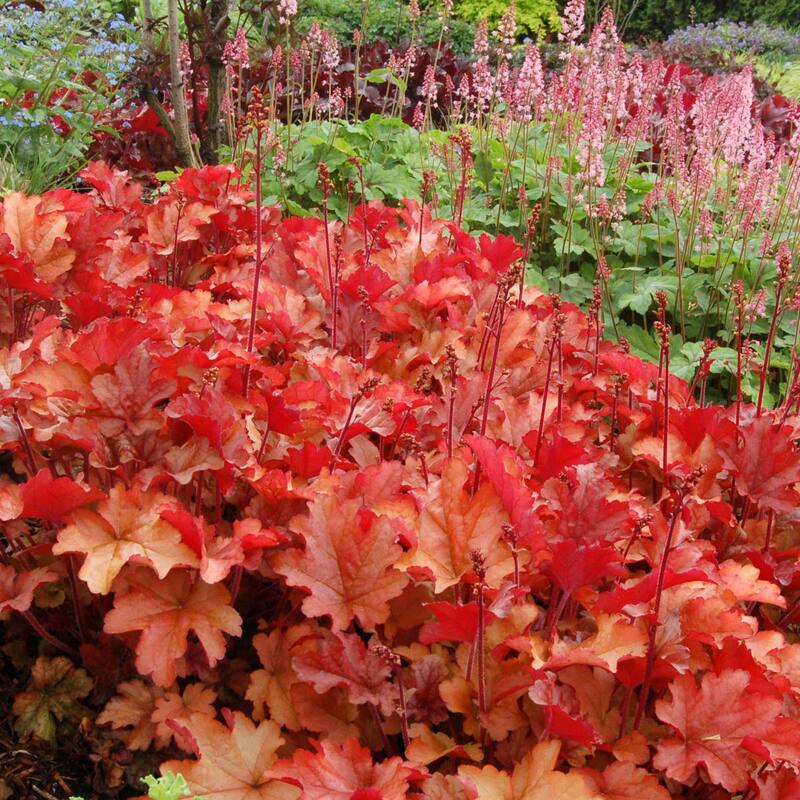 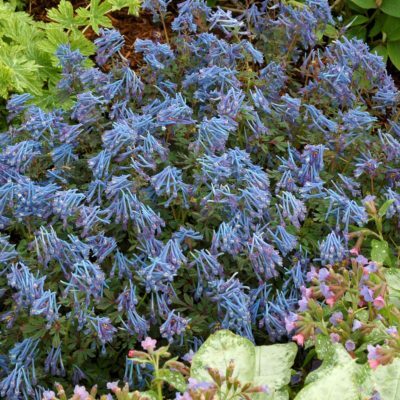 Contrast, accent, mass planting, mixed beds. 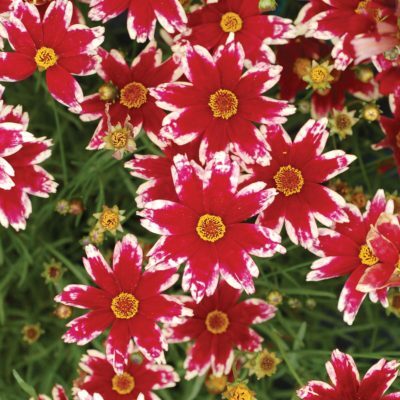 Won first place at the Royal Dutch Flower Bulb Association show in 2008. Overwintered well in Poland.